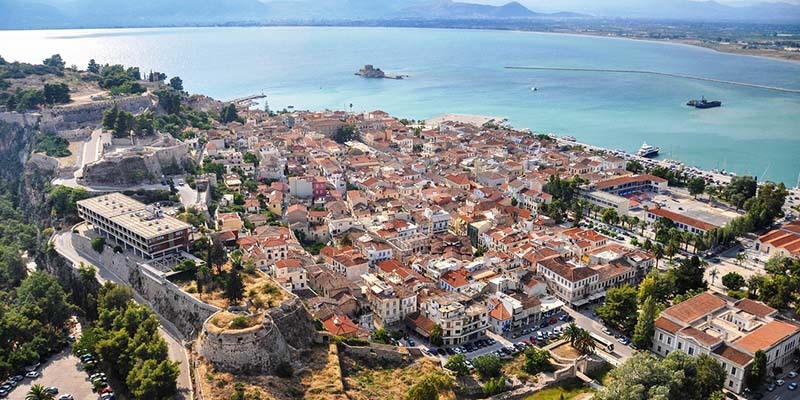 After crossing the Corinth Canal and entering the Peloponneese, the drive takes us through the rich vineyards and citrus orchards of Nemea and Argolis. 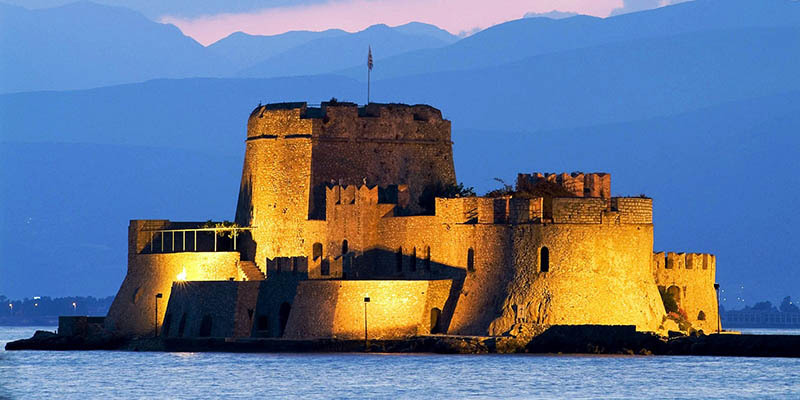 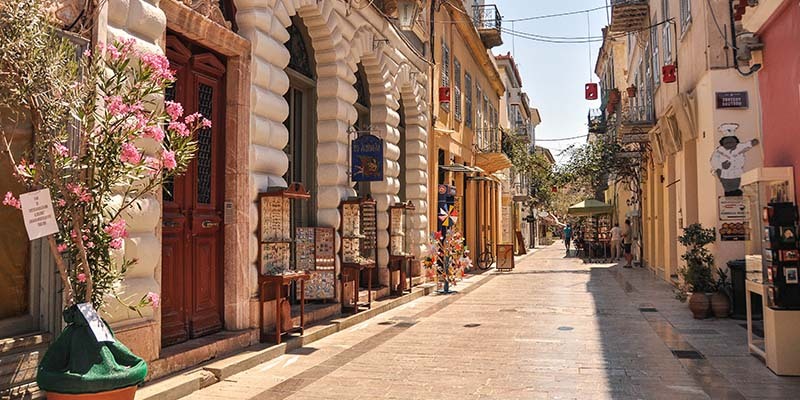 The first capital of modern Greece, Nafplion is a beautiful coastal town built around the harbour and towering over it is the great Palamidis Fortress built by the Venetians between 1711 – 1714 with its 8 turrets each defendable from the others. 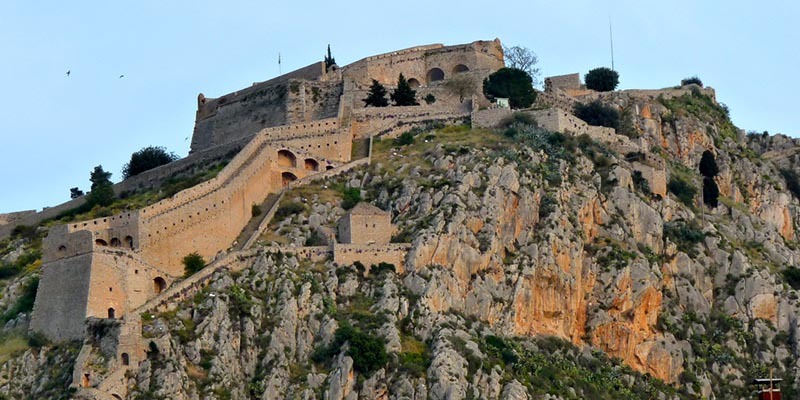 The entrance is reached by 999 steps but the view from the top is magnificent. 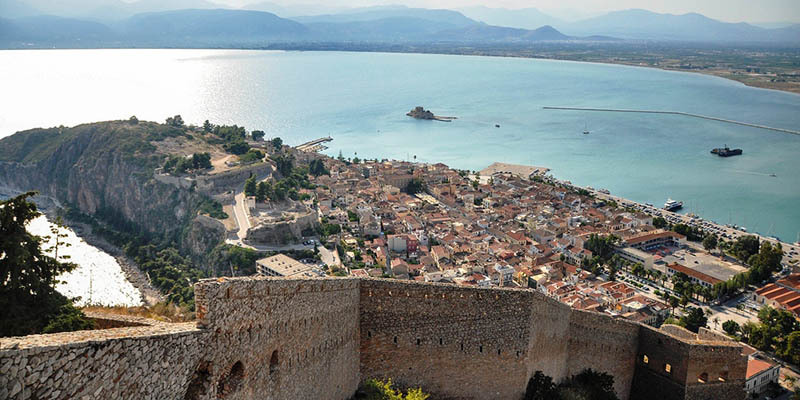 Just outside the town lies the second fortress of Nafplion, the Bourtzi, built in around 1470 as a fort to protect the town from pirates and later became a prison (known by many today as ‘little Alcatraz’) until 1935 when it was transformed into a hotel. 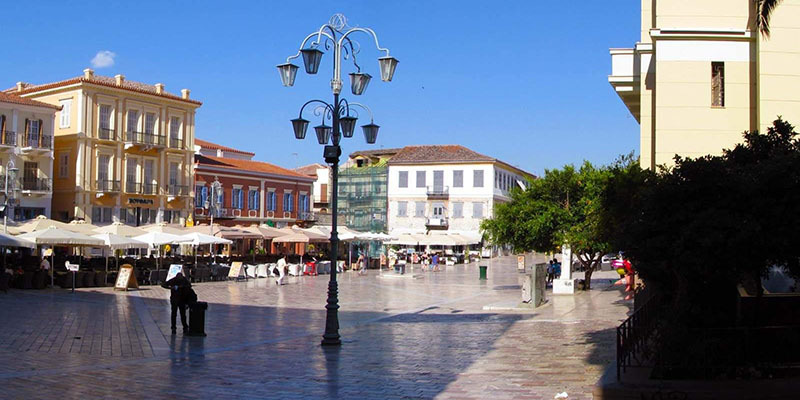 The town was declared the capital after the War of Independence from the Turks but after the assassination of the first Greek prime minister Capodistria on the steps of the parliament building in 1831 the capital was moved to Athens.